As seen on the runways of Marc Jacobs, Balenciaga and Maison Margiela for fashion week, key jewellery is now on-trend to be the key accessory of the season. This entry was posted in Jewellery, Jewellery Trends, The-Bling-Society and tagged accessories, Blog, breaking news, Buy Jewellery online, collection, collections, costume jewellery, design, Designer Jewellery, entertainment, fashion, fashion accessories, fashion bloggers, fashion jewellery, fashion jewelry, fashion necklaces, fashion shows, fashion trends, fashion week, fashionweek, high-fashion, Hollywood, impressions, in fashion, Inspiration, jewellery, jewellery art, Jewellery collection, jewellery collections, jewellery design, jewellery designers, Jewellery Industry, jewellery magazine, jewellery new arrivals, jewellery press coverage, jewellery trend, jewellery trend 2017, jewellery trends, jewellery trends 2017, jewelry, jewelry collections, jewelry design, jewelry magazine, jewelry new arrivals, jewelry trends, key jewellery, Lifestyle, london, magazine, Melbourne, necklaces, new arrivals, new york, New York Designer Jewellery, new york fashion week, New York Jewellery, New York Jewelry, news, online, online shopping, paris, paris fashion week, paris shopping, photo shoot, press, Retail Therapy, shopping, style, timeless, trends. Bookmark the permalink. Necklace layering… by top designers of SSNYFW17..
On the runway at the most recent New York fashion week we saw the trend of necklace layering in stacks used by some of the top designers and their brands, the likes of; Maison Margiela, Chanel, Mui Mui, Valentino and Etro just to name a few. Necklace layering has been used throughout seasonal trends and for SS17 we will see it return to it’s vintage parisian form. With the use of pearls, chains mixed, and perfectly suited with denim, basic tees and sweats to elevate a fashion look into street style. Designers featured above from SSNYFW17 are, Maison Margiela, Chanel, Mui Mui, Moschino, Valentino, Etro use the trend perfectly which enable anyone to translate the look quite effortlessly. This seasonal trend is a must-have and a requirement for any collection. The look suits the everyday woman wanting to elevate their style in the most simplest fashion. This entry was posted in Jewellery Trends and tagged accessories, Chanel, classic, costume jewellery, design, Designer, designer jewellery collections, designer jewelry collections, Diamond Necklaces, elegance, etro, fashion, fashion jewellery, fashion jewelry, fashion necklaces, fashion shows, fashion trends, fashionweek, haute couture, impressions, in fashion, in style, in vogue, jewellery, jewellery collections, jewellery design, jewellery new arrivals, jewellery press coverage, jewelry, jewelry collections, jewelry design, jewelry new arrivals, jewelry trends, london, London Jewellery, London Jewelry, maison margiela, moschino, mui mui, necklace, necklace layering, necklaces, new arrivals, new jewellery collections, new jewelry collections, new york, new york fashion week, New York Jewellery, New York Jewelry, on trend, online, online shopping, paris, Paris Designer Jewellery, Paris Designer Jewelry, paris jewellery, paris jewelry, runway shows, shop necklaces, shopping, style, The Bling Society, trending now, valentino. Bookmark the permalink. Monarchs and movie stars select Buccelati necklaces when they are in need of some statement bling. The prestige that comes with a work of art such as this piece will show you why all the A-list celebrities seek out the best, and often wear Buccelati. Using contrasting colours, shapes and sizes, what first appears as a bold announcement of wealth slowly becomes a silent image of stylistic detail rarely seen and impossible to imitate. Simply put, the more you look, the more you will see. The boldness of this work will hit you instantly, but it’s true beauty is in the detail. Take your time looking over the above work of art. This entry was posted in Jewellery, Jewellery Trends, The-Bling-Society and tagged a-list, accessories, back in stock, Bold, bracelets, Buccellati, Buccellati Bold, Buccellati Diamond Necklaces, Buccellati Inspiration, Buccellati is bold, Buccellati Monarch, Buccellati Necklaces, Buccellati Now Trending, Buccellati On Trend, Buccellati Trending Now, Cartier, Cheap Buccellati, classic, costume jewellery, Designer Buccellati, Designer Buccellati Necklaces, Designer Earrings, designer jewellery collections, designer jewelry collections, Designer Rings, Diamond Bracelets, Diamond Earrings, Diamond Necklaces, Diamond Rings, diamonds, earring, earrings, elegance, Famous Buccellati, fashion, Fashion bracelets, fashion earrings, fashion jewellery, fashion jewelry, fashion necklaces, Fashion rings, fashion shows, fashion trends, haute couture, Hollywood, Hollywood Buccellati, I love Buccellati, Impossible to imitate, impressions, in fashion, in style, in vogue, Inspired Buccellati, jewellery, jewellery back in stock, jewellery collections, jewellery design, jewellery new arrivals, jewellery press coverage, jewellery trends, jewelry, Jewelry back in stock, jewelry collections, jewelry design, jewelry new arrivals, jewelry trends, lasting impressions, london, London Designer Jewellery, London Designer Jewelry, London Jewellery, London Jewelry, Monarch Buccellati, Movie Stars, Movie Stars Buccellati, necklaces, new arrivals, new jewellery collections, new jewelry collections, new york, New York Designer Jewellery, New York Designer Jewelry, New York Jewellery, New York Jewelry, Now Trending, Now Trending Buccellati, on trend, On Trend Buccellati, online, online shopping, paris, Paris Designer Jewellery, Paris Designer Jewelry, paris jewellery, paris jewelry, Ring, rings, runway shows, shop bracelets, shop earrings, shop necklaces, shop rings, shopping, style, trending now, Trending Now Buccellati, true beauty, Window Shopping, work of art, zite. Bookmark the permalink. France’s ‘Dreams’ magazine recently featured Italian actress Monica Bellucci in an exclusive photo shoot displaying three dazzling gems from the world-renowned jewellery label Cartier. The magazine pictured the beautiful Bellucci, bronzed and beaming against the backdrop of a silver wall, dressed in black. Aside from her obvious photogenic features and long flowing dark hair, the 48 year-old impressed The Bling Society with the size of the shimmering diamond on her ring finger, which was accompanied by a pair of earrings. This combination offered a level of restrained elegance to the shoot. This allowed the image to appear both playfully over the top and subtly extravagant, highlighting the stylistic nature of Bellucci, who has unsurprisingly been a Cartier ambassador for many years. This entry was posted in Jewellery, Jewellery Trends, The-Bling-Society and tagged accessories, back in stock, bracelets, Cartier, Cartier Designer Earrings, Cartier Designer Ring, Cartier Designger Jewellery, Cartier Jewellery, Cartier Monica Bellucci, Cartier Now Trending, Cartier on Trend, Cartier Trending Now, classic, costume jewellery, dark hair, Designer Cartier Earring, Designer Cartier Jewellery, Designer Cartier Ring, Designer Earrings, designer jewellery collections, designer jewelry collections, Designer Rings, Diamond Bracelets, Diamond Earrings, Diamond Necklaces, Diamond Rings, diamonds, earring, earrings, elegance, fashion, Fashion bracelets, fashion earrings, fashion jewellery, fashion jewelry, fashion necklaces, Fashion rings, fashion shows, fashion trends, haute couture, impressions, in fashion, in style, in vogue, italian actress, jewellery, jewellery back in stock, jewellery collections, jewellery design, jewellery new arrivals, jewellery press coverage, jewellery trends, jewelry, Jewelry back in stock, jewelry collections, jewelry design, jewelry new arrivals, jewelry trends, lasting impressions, london, London Designer Jewellery, London Designer Jewelry, London Jewellery, London Jewelry, Monica Bellucci, Monica Bellucci Cartier, Monica Bellucci Earring, Monica Bellucci Now Trending, Monica Bellucci On Trend, Monica Bellucci Ring, Monica Bellucci Trending Now, necklaces, new arrivals, new jewellery collections, new jewelry collections, new york, New York Designer Jewellery, New York Designer Jewelry, New York Jewellery, New York Jewelry, Now Trending Cartier, Now Trending Monica Bellucci, on trend, On Trend Cartier, On Trend Monica Bellucci, online, online shopping, paris, Paris Designer Jewellery, Paris Designer Jewelry, paris jewellery, paris jewelry, Partnership, photo shoot, restrained elegance, Ring, ring finger, rings, runway shows, shop bracelets, shop earrings, shop necklaces, shop rings, shopping, style, trending now, Trending Now Cartier, Trending Now Monica Bellucci, Window Shopping. Bookmark the permalink. Here at The Bling Society we are beginning to spread our wings and fly with the news we are now in partnership with Qantas’ Frequent Flyer Program. To celebrate we are releasing a brand new line of jewellery purely for the Qantas Frequent Flyer store. Taking off with 11 brand new items, this line totaling 16 pieces of the finest costume jewellery is ready to set sail and see the sights of the world. The ‘Lounge’ line of jewellery is built around the concept of effortless beauty. The designs are very minimalistic, with the intention of highlighting the natural beauty of whoever is wearing them. Less is more when it comes to this range and we hope that the simplicity of these designs can make them a flexible jewellery choice. Whether you are on a long haul flight, on vacation or at a business meeting, let these pieces travel side by side with you through your busy and diverse life.. This entry was posted in Jewellery, Jewellery Trends, The-Bling-Society and tagged accessories, Airways, bling, bold jewellery, bracelets, business meeting, Buy Jewellery online, classic, collections, Convert My Frequent Flyer Points, Convert your Frequent Flyer Points, costume jewellery, designer collections, designer jewellery collections, designer jewelry collections, Diamond Bracelets, Diamond Earrings, Diamond Necklaces, Diamond Rings, diamonds, earrings, effortless beauty, Effortless Jewellery, elegance, Emily, fashion, fashion accessories, Fashion bracelets, fashion earrings, fashion jewellery, fashion jewelry, fashion necklaces, Fashion rings, fashion shows, fashion trends, fellow shoppers, First Class, Flyer Program, Flying, Frequent Flyer Program, haute couture, impressions, in fashion, in style, in vogue, In-Air Shopping, jewellery collections, jewellery design, jewellery new arrivals, jewellery press coverage, jewelry, jewelry collections, jewelry design, jewelry new arrivals, jewelry trends, lasting impressions, london, London Designer Jewellery, London Designer Jewelry, London Jewellery, London Jewelry, Lounge, natural beauty, necklaces, new arrivals, new jewellery collections, New Jewellery Designs, new jewelry collections, new york, New York Designer Jewellery, New York Designer Jewelry, New York Jewellery, New York Jewelry, now trending 2013, on trend, online, online shopping, paris, Paris Designer Jewellery, Paris Designer Jewelry, paris jewellery, paris jewelry, Points = Jewellery, Qantas, Qantas Airways, Qantas Flight, Qantas Frequent Flyer, Qantas Frequent Flyer Program, Qantas Lounge, Qantas Plane, Qantas Program, Retail Therapy, rings, runway shows, shop bracelets, shop earrings, shop necklaces, shop rings, shopping, Shopping Online, style, The Bling Society, The Lounge Collection, trending now, trending now 2013. Bookmark the permalink. It’s not everyday that one of the biggest names in jewellery comes to your doorstep with a ridiculously expensive collection for you to salivate over, so take advantage of this opportunity while you can Melbourne. 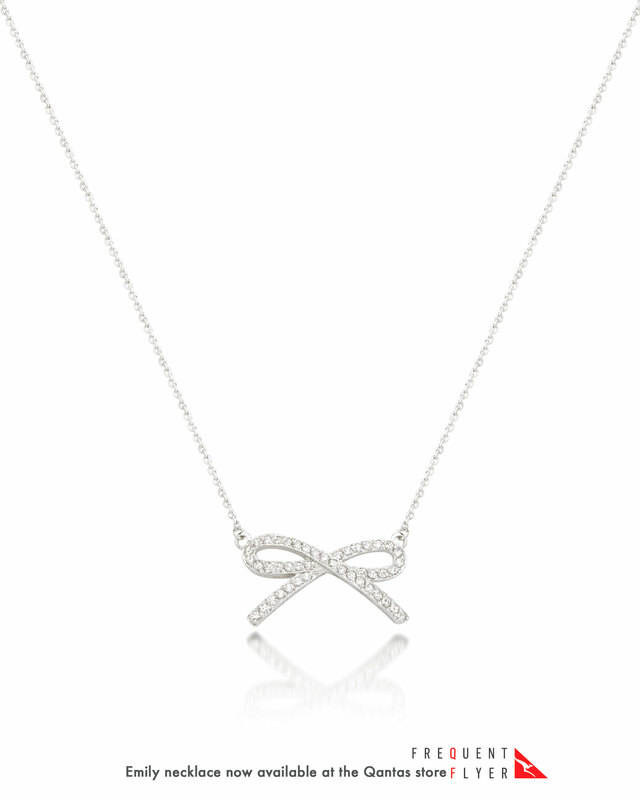 Jewellery heavyweight Tiffany and Co. has brought to Melbourne its Legendary Diamonds collection. As the title suggests the pieces in this collection revolve around some of the most stunning diamonds that Tiffany’s have seen in all of its 160 years in the Jewellery industry. While its believed that everything has its price, the price tags that will be on display in the Collins St store until August 11 this year will certainly be on the higher side. The Diamond Fringe necklace (above) is on sale for approximately $3 million dollars, and other items from the collection, including the Heart Shaped 10-carat earrings, retail for more than $2.4 Million. While none of us may have $3 million dollars sitting around, heading into the Melbourne CBD for some window-shopping and a chance to have your own time with these jewels is an opportunity you should pursue. There is only a couple days left until these items are placed back into their turquoise boxes ready to continue their journey around the world, so get in while you still have the chance. This entry was posted in Jewellery, Jewellery Trends, The-Bling-Society and tagged $3 million dollars, 10-Carat, accessories, August 11, back in stock, bold jewellery, bracelets, Carat, classic, collections, Collins St, costume jewellery, couple days, designer collections, Designer Jewellery, designer jewellery collections, designer jewelry collections, Diamond Bracelets, Diamond Earrings, Diamond Necklaces, Diamond Rings, diamonds, diamonds are a girls, doorstep, earrings, elegance, fashion, fashion accessories, Fashion bracelets, fashion earrings, fashion jewellery, fashion jewelry, fashion necklaces, Fashion rings, fashion shows, fashion trends, fellow shoppers, Final Days, flawless design, fringe necklace, Harry Winston, haute couture, Heart Shaped Carat Earrings, hyatt, impressions, in fashion, in style, in vogue, jewellery, jewellery collections, jewellery design, Jewellery Heavyweight, Jewellery Industry, jewellery press coverage, jewelry, Jewelry back in stock, jewelry collections, jewelry design, jewelry new arrivals, jewelry trends, lasting impressions, Legendary Diamonds Collection, london, London Designer Jewellery, London Designer Jewelry, London Jewellery, London Jewelry, Melbourne, Melbourne CBD, necklaces, new arrivals, new jewellery collections, New Jewellery Designs, new jewelry collections, new york, New York Designer Jewellery, New York Designer Jewelry, New York Jewellery, New York Jewelry, now trending 2013, on trend, online, online shopping, own time, paris, Paris Designer Jewellery, Paris Designer Jewelry, paris jewellery, paris jewelry, price tags, Retail Therapy, rings, runway shows, shop bracelets, shop earrings, shop necklaces, shop rings, shopping, style, The Bling Society, The Diamond Fringe, The Tiffany Diamond Fringe, Tiffany, Tiffany and Co, Tiffany and Co. Collection, Tiffany and Co. Diamond Collection, Tiffany and Co. 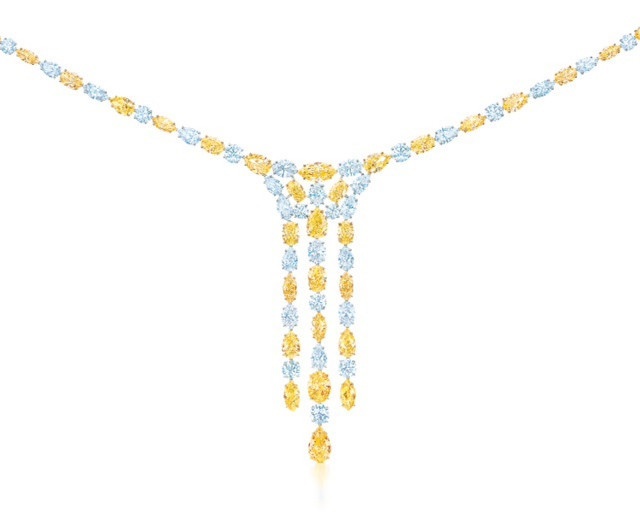 Legendary Diamonds Collection, Tiffany Collection, Tiffany Diamond Collection, Tiffany's Diamond Fringe, trending now, trending now 2013, Trending now Harry Winston, Turquoise, Vogue, Vogue Galery, Window Shopping. Bookmark the permalink. 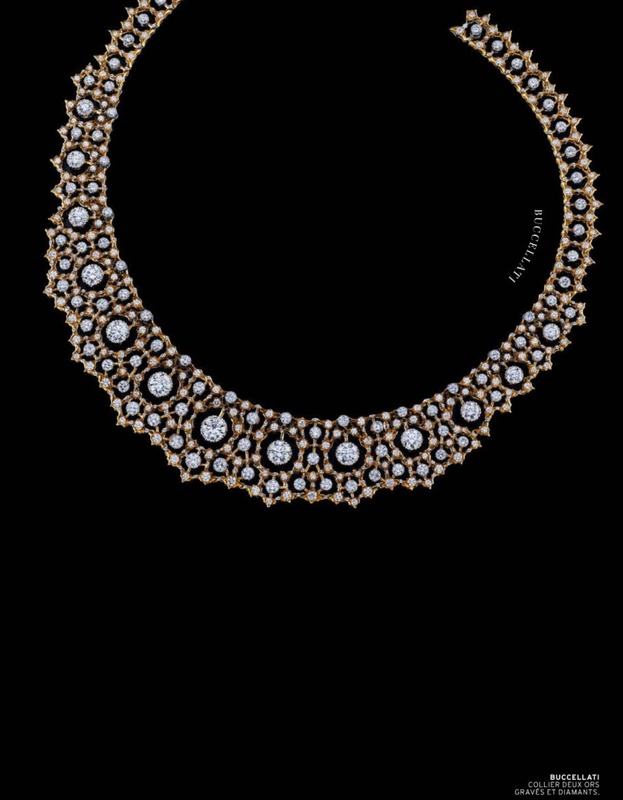 If there is any Jewellery label that truly understands what jewellery is all about, it’s Harry Winston. The legacy of the jeweller is drowned in acts of goodwill, flawless design and of a career that highlights the aspects of the jewellery world that are the most important. 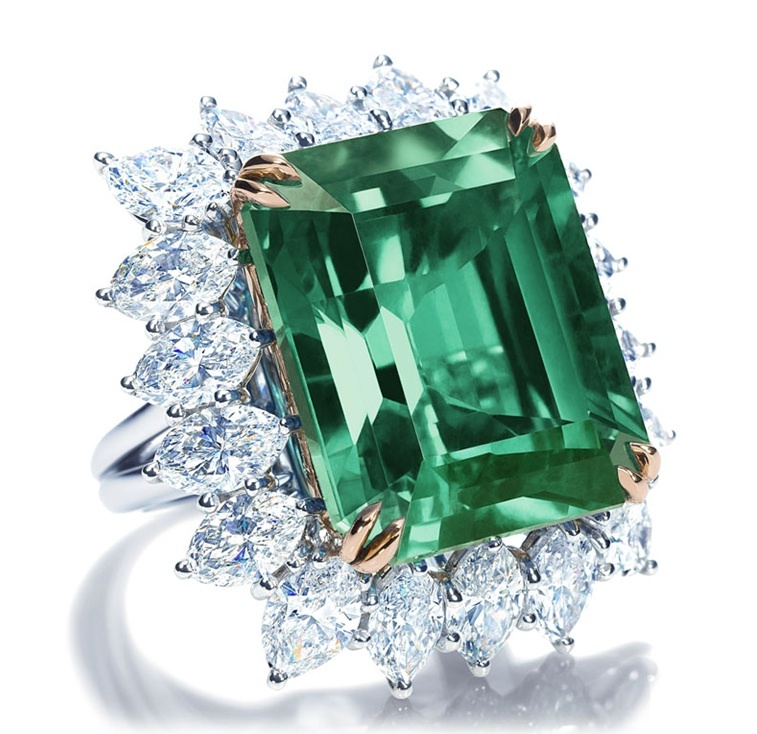 Just an example of why we love the current crop of Harry Winston jewellery is the ring titled, ‘Emerald and Diamond.’ Spawning from ‘The Incredibles’ collection, the Emerald and Diamond is similar to the jewellery being designed and produced by The Bling Society. Much like The Bling Society, Harry Winston produces bold and statement-making pieces designed to ‘wow’ all of your friends. The life of Harry Winston is full of interesting stories. The first is of how a young Harry, after growing up in his fathers jewellery shop, spotted a diamond in a thrift shop that he purchased for $0.25, and later sold for $800. As Harry moved into his later life, he donated the Hope Diamond to the Smithsonian in Washington DC. This Diamond is believed to have a value between $200-250 million. Harry Winston’s Jewellery is all about making an impression, something he himself certainly made on the world of jewellery. This entry was posted in Jewellery, Jewellery Trends, The-Bling-Society and tagged accessories, back in stock, bold jewellery, bracelets, classic, collections, costume jewellery, designer collections, Designer Jewellery, designer jewellery collections, designer jewelry collections, Diamond Bracelets, Diamond Earrings, Diamond Necklaces, Diamond Rings, diamonds, diamonds are a girls, earrings, elegance, fashion, fashion accessories, Fashion bracelets, fashion earrings, fashion jewellery, fashion jewelry, fashion necklaces, Fashion rings, fashion shows, fashion trends, fellow shoppers, flawless design, Harry Winston, Harry Winston Collection, Harry Winston Collection 2013, Harry Winston Collection 2014, Harry Winston Designer Jewellery, Harry Winston Diamonds, Harry Winston Emerald and Diamond ring, Harry Winston Jewellery, Harry Winston Jewellery Collection, Harry Winston Jewelry, Harry Winston Rings, haute couture, Icon Necklace, Icon Necklace by The Bling Society, impressions, in fashion, in style, in vogue, jewellery, jewellery back in stock, jewellery collections, jewellery design, jewellery new arrivals, jewellery press coverage, jewelry, Jewelry back in stock, jewelry collections, jewelry design, jewelry new arrivals, jewelry trends, lasting impressions, london, London Designer Jewellery, London Designer Jewelry, London Jewellery, London Jewelry, necklaces, new arrivals, new jewellery collections, New Jewellery Designs, new jewelry collections, new york, New York Designer Jewellery, New York Designer Jewelry, New York Jewellery, New York Jewelry, now trending 2013, Now Trending Harry Winston, on trend, online, online shopping, paris, Paris Designer Jewellery, Paris Designer Jewelry, paris jewellery, paris jewelry, rings, runway shows, shop bracelets, shop earrings, shop necklaces, shop rings, shopping, style, The Bling Society, trending now, trending now 2013, Trending now Harry Winston. Bookmark the permalink. Day 1; Blog 1; and it would be remiss of us not to talk about the most popular item in the history of The Bling Society. ‘Icon’ was in the original line of jewellery that The Bling Society first released, and has been a constant on shoppers lists ever since. The beauty of this piece lies in its transcendent nature. It is crystal clear and beautiful to the extent that it could sit effortlessly along side any high-end item of jewellery, but it is also unassuming, complimenting women who are effortless and confident in their style. The huge upside of this piece is its neutrality. It can be worn with any dress, and any colour. Not fully convinced? Here are a few comments we’ve received from your fellow shoppers. This entry was posted in Jewellery, Jewellery Trends, The-Bling-Society and tagged accessories, back in stock, bold jewellery, bracelets, classic, collections, costume jewellery, designer collections, designer jewellery collections, designer jewelry collections, Diamond Bracelets, Diamond Earrings, Diamond Necklaces, Diamond Rings, diamonds, earrings, elegance, fashion, fashion accessories, Fashion bracelets, fashion earrings, fashion jewellery, fashion jewelry, fashion necklaces, Fashion rings, fashion shows, fashion trends, fellow shoppers, haute couture, Icon Necklace, Icon Necklace by The Bling Society, impressions, in fashion, in style, in vogue, jewellery, jewellery back in stock, jewellery collections, jewellery design, jewellery new arrivals, jewellery press coverage, jewellery trends, jewelry, Jewelry back in stock, jewelry collections, jewelry design, jewelry new arrivals, jewelry trends, lasting impressions, london, London Designer Jewellery, London Designer Jewelry, London Jewellery, London Jewelry, necklaces, new arrivals, new jewellery collections, New Jewellery Designs, new jewelry collections, new york, New York Designer Jewellery, New York Designer Jewelry, New York Jewellery, New York Jewelry, now trending 2013, on trend, online, online shopping, paris, Paris Designer Jewellery, Paris Designer Jewelry, paris jewellery, paris jewelry, rings, runway shows, shop bracelets, shop earrings, shop necklaces, shop rings, shopping, style, The Bling Society, trending now, trending now 2013. Bookmark the permalink. The Jewellery Magazine… By The Bling Society®..
From the costume jewellery e-boutique ‘The-Bling-Society’ comes a Jewellery Magazine from Founder Samantha Delaney-Saretta and our contributors Sean Hyatt, James Hyatt & Mary Yang, discussing and guiding the readers to find jewellery that suits their style. Off the back of our first magazine, ‘The-Accessories-Guild’ – which focuses on accessories, big and small – comes a magazine that will discuss, preview and give an inside look at everything here at ‘The-Bling-Society’ magazine. Do you hate shopping by yourself and not having a friend nearby to help you decide whether what you are trying on will suit your look? Do you feel uncertain that the advent of online shopping has left you in serious need of a second opinion? 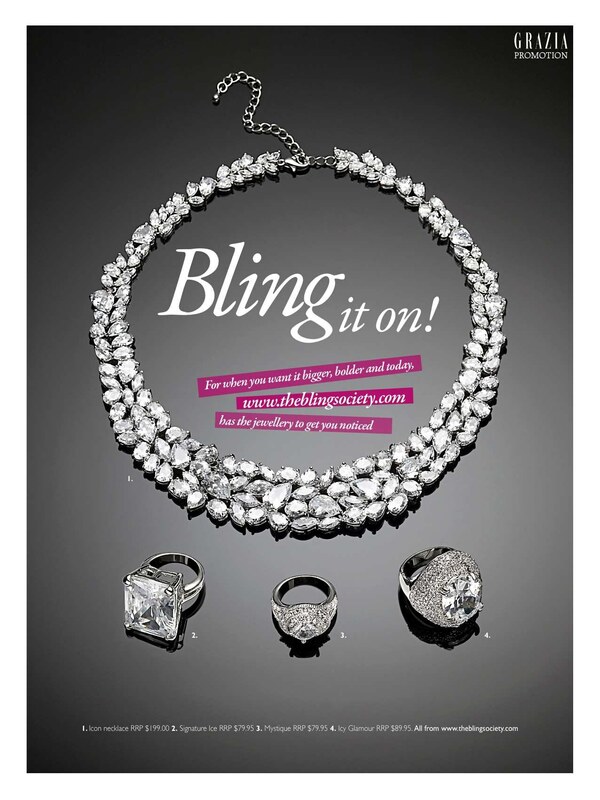 The-Bling-Society magazine is here to guide you towards the optimum jewellery choices. 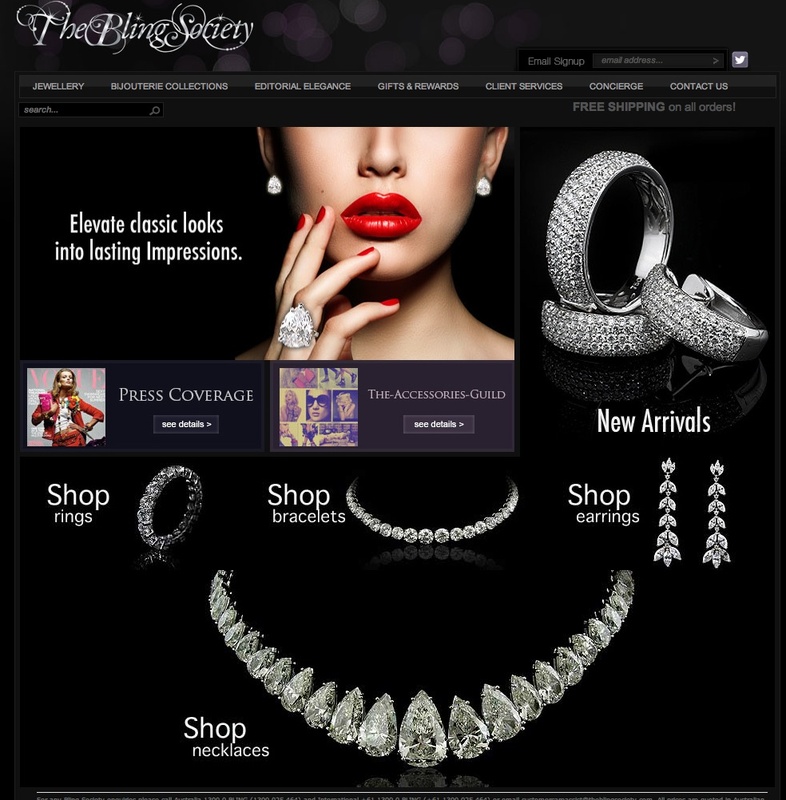 While The-Accessories-Guild covers everything from shoes to hats, The-Bling-Society magazine will specialise in what we know best, jewellery. This entry was posted in Jewellery, Jewellery Trends, The-Bling-Society and tagged accessories, back in stock, bracelets, classic, costume jewellery, designer jewellery collections, designer jewelry collections, Diamond Bracelets, Diamond Earrings, Diamond Necklaces, Diamond Rings, diamonds, earrings, elegance, fashion, Fashion bracelets, fashion earrings, fashion jewellery, fashion jewelry, fashion necklaces, Fashion rings, fashion shows, fashion trends, haute couture, impressions, in fashion, in style, in vogue, jewellery, jewellery back in stock, jewellery collections, jewellery design, jewellery new arrivals, jewellery press coverage, jewellery trends, jewelry, Jewelry back in stock, jewelry collections, jewelry design, jewelry new arrivals, jewelry trends, lasting impressions, london, London Designer Jewellery, London Designer Jewelry, London Jewellery, London Jewelry, necklaces, new arrivals, new jewellery collections, new jewelry collections, new york, New York Designer Jewellery, New York Designer Jewelry, New York Jewellery, New York Jewelry, on trend, online, online shopping, paris, Paris Designer Jewellery, Paris Designer Jewelry, paris jewellery, paris jewelry, rings, runway shows, shop bracelets, shop earrings, shop necklaces, shop rings, shopping, style, The Bling Society, trending now. Bookmark the permalink.